Next week I’m off to RWA, the Romance Writers of America’s annual national conference. I will be giving several workshops (as Jennifer Ashley; one on writing a series), plus will be signing my romances at the big book signing on Wed, 23rd. The signing is from 5:30-7:30, open to the public, at the Marriott Rivercenter Hotel in downtown San Antonio (on the Riverwalk). All proceeds are donated to charitable organization supporting literacy. While this conference focuses on romance, it encompasses authors of all genres. I’ll be meeting with my editors, publicist, and reps from the bookstores to discuss what’s coming up, the industry, and probably our favorite restaurants, because that’s the way conversations usually go with me. I’ll be teaching and learning, and talking nonstop for days. This puts me slightly behind my writing schedule–conferences always do, which is why I attend only a few each year. However, my books are moving forward, and I’m still planning an August or early September release for the next Capt Lacey (Murder in Grosvenor Square). I have to finish up a paranormal romance and turn it in before I can devote a large chunk of writing time to Grosvenor Square, but I already have a lot done. Once I have a draft of Grosvenor Square finished, I will set up pre-orders. I’ll better know an exact release date when the draft is done. Revising, editing, and proofreading take a finite time; writing a novel does not (I don’t care what the most efficient author says; things can knock you out of play very easily). If you will be in the San Antonio area next week, stop by the signing and say hi. The signing coordinators will not let you bring books with you–all books have to be bought at that signing; and I will only have two of my latest romances to sell–but I’m happy to sign things in the halls, in corners, at the bar, in Starbucks…. If you buy me a green iced tea at Starbucks, even better! 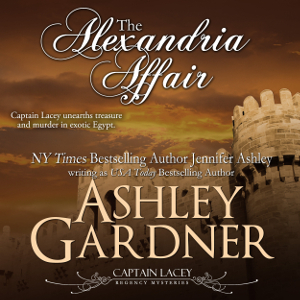 Absolutely love your work on the Captain Lacy series! Its just the right ammount of murder mystery, a hint of romance and period intrique w/o overdoing any of these elements. Bravo! Hello Ashley! I downloaded your first book several weeks ago from B&N and since then, haven’t be able to stop reading them, getting all the rest in your series immediately thereafter! I am compelled to tell you how much I enjoy them, am looking forward to the next and really appreciate how well you write them. Nicely done, keep up the great work! 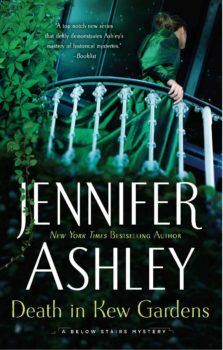 I can’t wait for “Murder in Grosvenor Square” to be released. I was in London last weekend and found myself walking in Grosvenor Square, Upper Brook Street, South Audley Street etc and imagining which house Grenville, The Brandons and Lady Breckenridge might have lived in! Love the series and can’t wait for number 9. Many thanks. Having happily read through the Captain Lacey series, and the excerpt for Grosvenor Square, I thought where the heck is the option for buying this book. Lots of frantic searching and clicking then ensued…and here I am on your blog. Absolutely love your Captain and so look forward to his next adventure. Also trying to spread the joy to all my Regency Mystery friends. Thanks so much, Ashley.